I managed to squeeze in a bit of shop time yesterday and got a the joinery on the Thorsen table mostly done. I say mostly because there are some hand work details to finish up. I finished making all of the mortises, the ones for the tenons were already done, I just had to finish off the ones for the ebony plugs. There are 24 ebony plugs in the legs, and another 16 in the top, in three different sizes (3/8, 5/16 & 1/4). 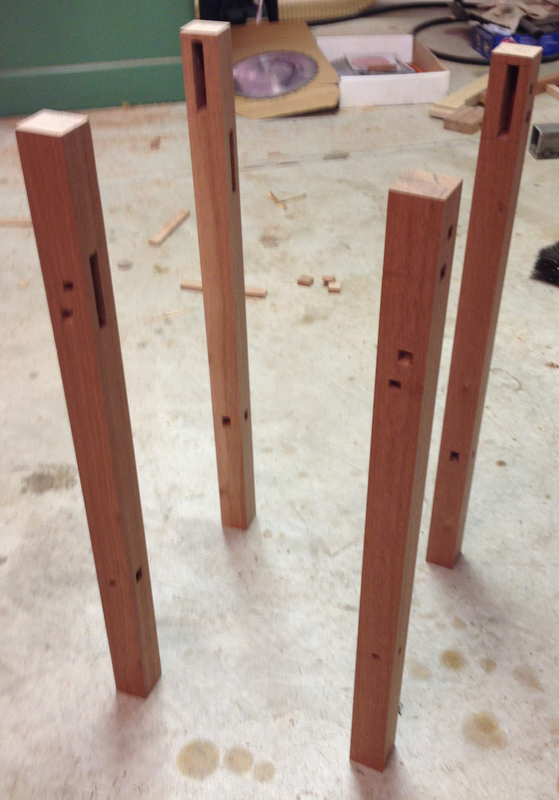 I also roughed in the tenons on the stretchers and skirts. On the skirts I need to cut the offsets – the tenons on one side are only at the top of the skirt, and on the adjacent sides at the bottom. The tenons on the stretchers need to be trimmed at a 45 degree angle on the ends because they aren’t offset like the skirts. 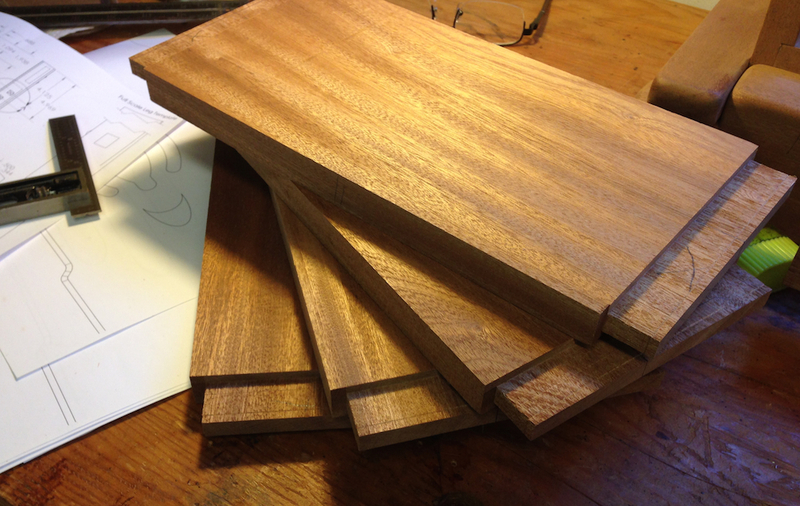 I also cut all of the tenons about .020″ oversized so I can hand plane each to fit it’s mortise. I want to have a nice snug fit everywhere. 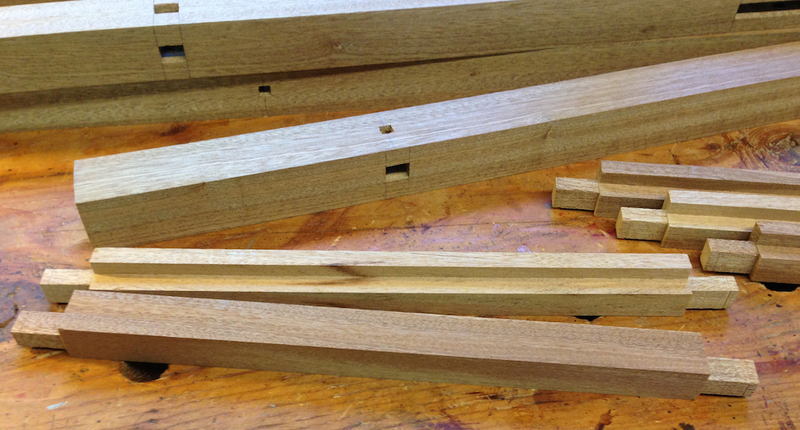 Tenons on the stretchers, the recess for the lower shelf is also done. Tenons on the skirts, these need to be shortened as the actual tenons are only 2.25″ tall, and are offset between adjacent sides. My next job is to do the handwork to fit the tenons properly and hand plane all of the surfaces smooth. Then I need to see about all of the details — the waterfall step in the bottoms of the legs, the lift detail in the bottoms of the skirts and the piercing in the skirts. I need to also glue up some stock for the top and the shelf. In other news, you may remember last weekend that my bandsaw was giving me trouble. The magnetic starter for the motor was cutting out after running for a short while. I had this happen at higher speeds before when friction cutting steel on the saw. My suspicion is that the breaker built into this is just getting old. The saw is close to 75 years old, being made around 1940-45. I’m not that old, and I feel like cutting out after running for a short while too. Anyway, I found a used replacement part on ebay and bought it. Hopefully this is the problem and it isn’t something actually drawing too much current (like the 7.5 hp 3 phase main motor boing out). good progress – I’m waiting to see how you do the bottom “waterfall” leg detail. 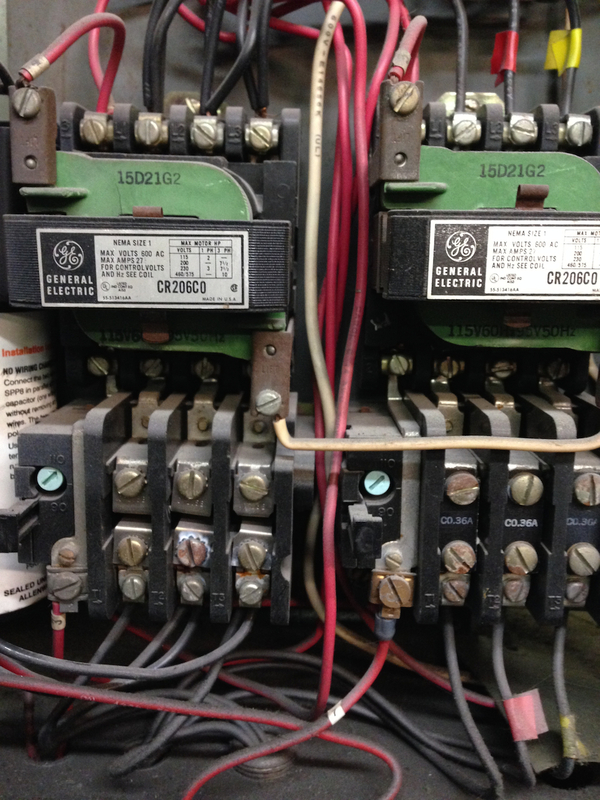 Make sure that the heaters in the starter match the current draw at the voltage you’re wired for. Lots of times equipment coming out of industry is set up for the higher voltage (and lower current) on the motor, and when you rewire the motor for lower voltage at home, you have to change heaters for the doubled current. You can get away with the old heaters as long as the load is light and the ambient temperature low; raise either and you start kicking the starter out. Thanks Roger. There is a three position setting on the heaters, I’ll have to track down what the does.